MOSCOW, September 7. /TASS/. During a spacewalk, Russian cosmonauts may examine from the outside the hole in the Soyuz MS-09 spacecraft, which caused a pressure drop aboard the International Space Station (ISS) last week, a rocket and space industry source told TASS on Friday. "The possibility of conducting a spacewalk to examine from the outside the hole in Soyuz is now being considered. Possibly, they will be able to find the ‘plug’ that closed the hole before the August 30 emergency situation, or some other ‘evidence,’" the source said. "A spacewalk is unlikely to be carried out for the purpose, but such works are possible during routine maintenance," the source added. At the same time, the source said that the commission investigating the incident is looking into all possible versions. On August 30 a drop in air pressure was registered on the ISS. The crew examined the compartments and add-on modules one by one to identify a two-millimeter hole in the hull of the Soyuz MS-09 spacecraft. In the evening of the same day it was patched up with several layers of epoxy resin. Pressure returned to normal. On August 31 the crew reinforced the patch with another layer of sealant. 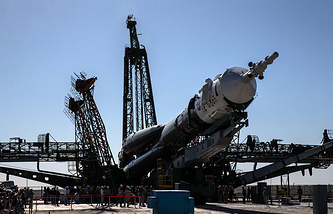 The head of the Roscosmos corporation, Dmitry Rogozin, said the Soyuz MS-09 spacecraft, attached to the ISS, had been damaged with a drill from the inside. The space rocket corporation Energia is conducting an investigation to identify those responsible. Inquiries are being made into who had access to the spacecraft, what works were carried out, and who supervised them. Two inquiries are in progress. Energia’s internal investigation is trying to find out who and how might have drilled the hole during the manufacturing phase. And Roscosmos is probing into all possibilities of an emergency, including damage after docking with the ISS. As of September 6, the Energia inquiry has been unable to identify those responsible. The commission is to end its work on Friday, the results will be reported to Roscosmos head on September 10. 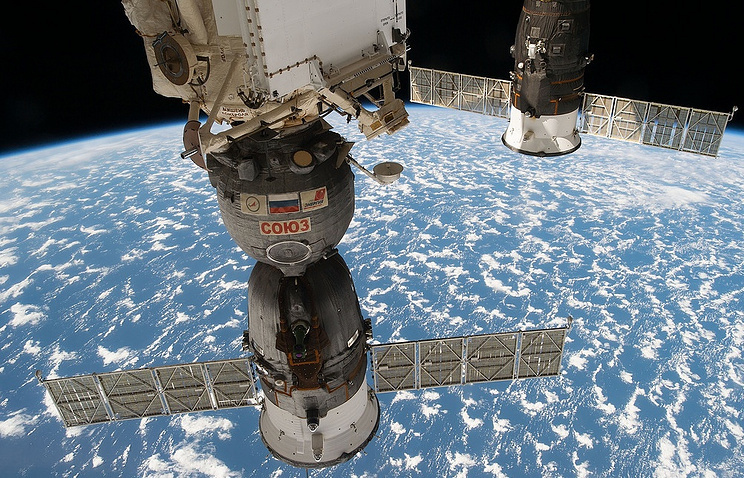 The Roscosmos commission will continue its inquiry until the end of next week.